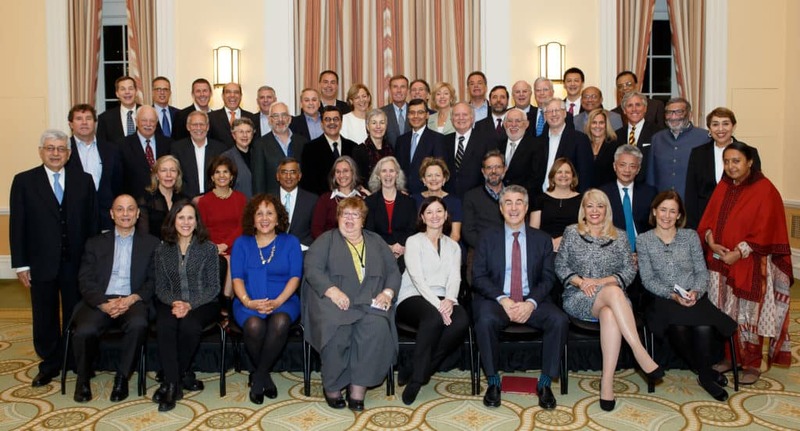 The Alumni Society is honored to be working alongside Harvard University’s Advanced Leadership Initiative (ALI). ALI is a third stage in higher education designed to prepare experienced leaders to take on new challenges in the social sector with the potential to make an even greater societal impact than they did in their careers. Accomplished leaders with at least twenty-five years of leadership experience in any field or profession are encouraged to express interest in ALI’s fellowship program. As part of the yearlong program, ALI Fellows participate in a core course, intensive deep dives on social issues—health, environment, and education—and audit courses across the university. The year culminates in a capstone event where they present their plan to make a lasting difference in the world. Following the program year, fellows join the ALI Coalition, a group of over four hundred change-makers from past cohorts who are dedicated to ongoing social impact. ALI recognizes the importance of including Latina and Latino leaders in its mission to deploy a new leadership force of experienced individuals who will use their knowledge to change society for the better. Interested candidates can learn more at advancedleadership.harvard.edu. Through the Advanced Leadership Initiative, Harvard is seeking to tap the experience of a socially conscious generation of leaders to fill critical leadership gaps on major social issues. Beginning in January 2009, a select group of Fellows with a track record of achievement have come to Harvard to transition from their primary income-earning careers to their next phase as change agents for society. For more information, visit advancedleadership.harvard.edu.